Epibond 200 A/B is a two component, extrudable, room temperature curing epoxy adhesive. It is an advanced material that offers a service temperature from -55 to 93 degrees Celsius as well as providing high peel and shear strength. It has good retention of strength after environmental aging and it has no SVHC as defined under REACH. The adhesive is well suited for bonding a wide variety of materials such as composites, metals and many other dissimilar substrates. High strength and flexibility of the material makes it well suited for aerospace and other demanding applications. Epibond 200 A resin is gray in color and Epibond B hardener is amber. Once the two components are mixed thoroughly together it will be gray colored. The specific gravity is 1.3 per ASTM D-891 and the viscosity at room temperature is a thixotropic paste per ASTM D-2196. Gel time of 100 gm of material at 25 degrees Celsius will be 100 to 105 minutes per test method ASTM D-2471. Mix ratio is 50 parts by weight of the resin to 50 parts by weight of the hardener. When using the recommended mix ratio under normal temperature conditions, Epibond 200 A/B will provide a working time of approximately 60 to 70 minutes. Substrates that will be bonded need to be properly treated and be free from any contaminates for the best results. Thorough mixing is required of both the components until a homogeneous mixture is obtained. Epibond 200 A/B can be spread with a spatula to the pretreated substrate joint. A layer of 0.004 to 0.012 inches thick is recommended to provide the maximum lap shear strength. Once the material is applied to the joints need to be clamped together. Even pressure throughout the joint will ensure optimum performance. Epibond 200 will take approximately 7 days at room temperature to fully cure. Do no use this product until the Epibond 200 MSDS has been read and understood. 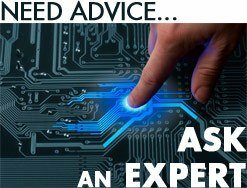 When the epoxy adhesive is stored in a dry place in its original sealed container between the temperatures of 2 to 40 degrees Celsius, the shelf life will be 12 months from date of manufacture. When handling the material it is strong advised to use a ventilation hood or appropriate NIOSH approved respirator. For more information of the safe use of Epibond 200 A/B, contact Krayden and a certified Technical Representative will answer any questions that you may have. 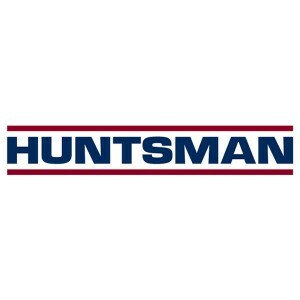 Huntsman is an innovator in developing advanced adhesives and specialty chemicals for a wide variety of industries. Epibond 200 A/B is a two component flexible epoxy structural adhesive with excellent retention of strength after environmental aging. For more information in regards to the sizing or the correct application of this product, contact Krayden, an authorized distributor of Hunts man products. More information can also be found on the Epibond 200 A/B Technical Data Sheet.